What is YOUR dream vacation? What is YOUR bucket list? 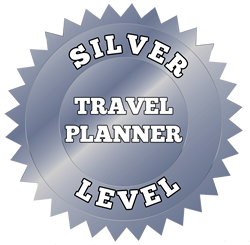 I am here to help you plan every step of the way, until we build the vacation that you have always wanted to take! Escape your busy life and go on the adventure that you have dreamed about, I am here to help every step of the way! I have been planning vacations for almost 7 years and it is a pleasure to help make my client’s dream turn into a reality. I pride myself on my customer service, I am always there for my clients. The Hawaiian Islands are a beautiful place to visit. Once you travel to Hawaii you will be captivated by its culture and beauty! My favorite things to do on Oahu are – watching the sunrise, hiking Diamond Head, snorkeling at Hanuma Bay and visiting the North Shore. Walt Disney World is near and dear to my heart. I have traveled there many times over the years with my family. My 2 sons are grown now and we experience the magic of Walt Disney World in a whole new way. We have made so many lasting memories together and we are thankful for the time we have spent together there. I get to know each client personally so that I can learn about the details of what they are looking for and build the vacation based on the information that they give me. Once we get to know each other I consider most of my clients as friends. I want to be sure that you are getting the best deal and the best experience. I look forward to helping you plan your next adventure!! Terri did a wonderful job booking our Cruise trip, she set up our transfers and hotel and everything went so smooth. I would highly recommend anyone to Call Terri if they are planning a vacation. My sister in-law referred us to Terri and I could not be happier! She was so helpful, patient, and got us one heck of a deal! We came out way under budget and got way more services then we initially planned on! I will be referring Terri to anyone and everyone planning on going to Disney. Terri was wonderful to work with. Very knowledgeable about Disney. A pleasure to work with. I would recommend her to my friends and family. I was referred to Terri buy a co worker. I was originally just looking to see what kind of deals she could get us. I emailed her and we chatted a little bit, but I was just not agreeing with some of the things. However I did take a minute to look at the recommendations she was giving me. I was blown away by what she got us!! We were able to get a package with a lot more than I ever imagined. We got the memory maker, and the dinning package. All because Terri knows her job well!!! I booked the trip today and we are so very excited to experience Disney World with all the bells and whistles. Terri is very friendly, knowledgeable and efficient. Will definitely use her outstanding service again ! My wife and I have cruised several times. We decided to take our kids on a Disney Cruise. I initially booked the Disney Cruise myself but turned it over to Terri. I was referred by a friend and from the start I could tell Terri was very responsive. She responded to my emails within a few hours even over the weekend. She has great knowledge about Disney and gave us great input and suggestions. If she didn’t know the answer, she researched it and looked it up. You can certainly book and manage it on your own, but its nice to have an insider guiding you and making suggestions. If you’re going to spend the money on a Disney Cruise, I would highly recommend Terri. Having made the decision to plan a DISNEYWORLD vacation I soon realized I had entered a realm of options of which were way over my head. One phone call later and I was in contact with Terri Gonsiorowski, a KINGDOM MAGIC VACATIONS travel agent. 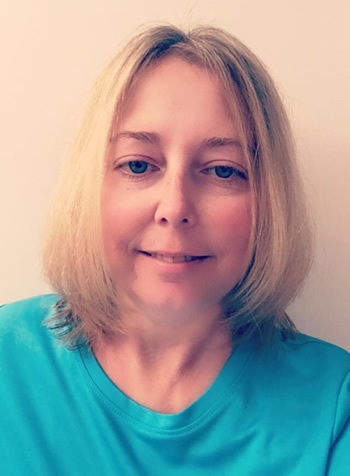 Terri instantly became invaluable to us beginning with our question of when to plan our vacation, Christmas Break or Spring Break She continued to help by explaining and emailing information about restaurants, DINING PLANS, and FAST PASSES. I learned that DISNEYWORLD gets very busy and to make the most of your time planning and reservations are essential. Terri helped with all of the details. She reminded me of approaching deadlines and when we made our decisions made the reservations for us. I highly recommend Terri Gonsiorowski to anyone planning a Disney experience. She listened to what we wanted, made suggestions, and always at the end of each phone call encouraged me to call back if I had any questions. Planning a Disney vacation can be complicated, with many reservation dates and deadlines to be aware of. Terri’s knowledge, reminders and insider tips made the process so easy. I will 100% recommend her to friends. We had a wonderful trip! Terri did a great job helping me plan my vacation. Between her personal experience with the location and her general knowledge of travel, she was a great help!